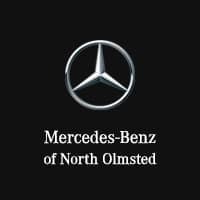 Mercedes-Benz of North Olmsted, serving all of Greater Cleveland and Northern Ohio, is dedicated to quality Express Service. We know that you are a busy person, always on the move. You demand fast service so that you can get back on the road quickly. Our state-of-the art Service Department, staffed by ASE-certified, factory-trained technicians, offers Express Service 6 days a week. Short for time? Come visit the Mercedes-Benz of North Olmsted Service Department and you’ll receive professional car care courteously, quickly and at a very competitive price.